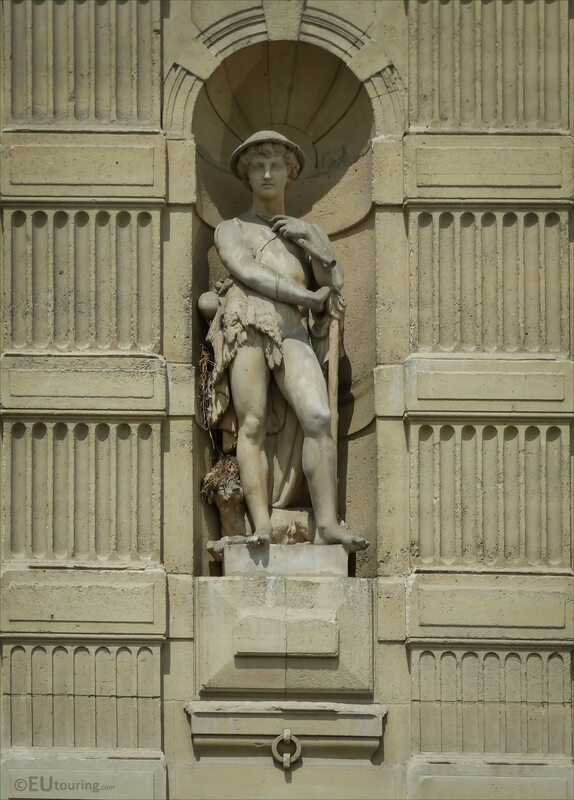 Again we were at the Musee du Louvre in the 1st Arrondissement of Paris, when we took these high definition photos showing the statue of Berger, by Jacques Marie Hyacinthe Chevalier, located on the Aile de Marsan wing. 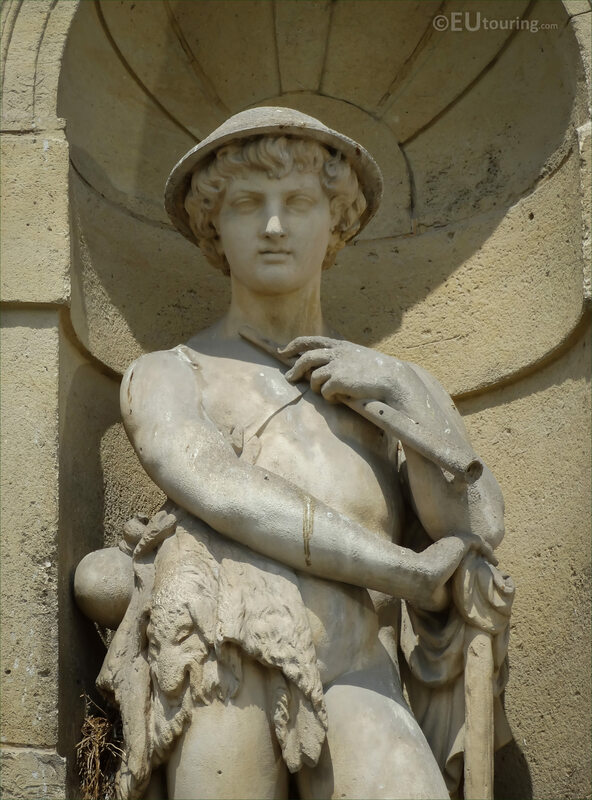 So this particular allegorical statue can be seen from the Cour du Carrousel courtyard and it is located in a niche on the first level of the Aile de Marsan facade, third from the right hand side and was put in place in 1866. And called Berger in French, this translates to the Shepherd in English, so if you look carefully at the feet of the statue, you will see that the artist has included a dog to provide a more meaningful allegory. Yet this next image shows a close up of the top part of the Berger statue, which was sculpted by Jaques Marie Hyacinthe Chevalier, who was born in 1825 and passed away in 1895, having produced several funerary monuments, statues for historical buildings including cariatides on a theatre, and medallions.